No matter how many hours you spend listening to the air moving through a breathing machine, how much you stare at the peaks and valleys that roll across a hospital monitor, how long someone has been sick – you never really believe that one whoosh of air through the tubes will be the last. I know it has been a long and difficult battle and I know that you were tired. But I just can’t believe that you’re gone. You always smiled sweetly when you told me the story of how I was just a wee girl and you bought me a beach bucket and shovel. When you gave it to me I looked up at you with stars in my eyes and said, “Oh, Daddy! You’re the best daddy I ever had.” Never has that been more true than today. In just a few hours an irreparable hole has been torn in the fabric of my life. Though I’ve tried to steel myself to eventually face this day, the truth is – you can never really be prepared for this type of finality. I miss knowing you are here in the world. It tears me apart that I will never again hear you say, “boy, am I glad to see you,” and I’ll never again say, “I’m always glad to see you,” in return. You know, the way we always did. When you last held my hand and touched my cheek, you asked me to say a prayer for you. Well, I want you to know that I did. I prayed for you to have peace, to be without fear, without pain. But I can’t help but be afraid. I’m afraid that I’ll forget what your voice sounds like or that I won’t be able to hear your laugh anymore when I think about you. Mom told me today that you still carry my kindergarten picture in your wallet. After 35 years in there it has long since faded but she said you still loved it. Even though you’ve always told me that you love me and that you are proud of me, it’s the little things like that make me feel like a million bucks. Underneath that tough, brave, unapologetic exterior you have always been a softy. Thank you for always loving me, no matter what. I’m really sad that we never did get to take a ride in the Ural together. I know how much you were looking forward to that. If it’s okay with mom, I’d like to ride you to the place where we will spread your ashes. 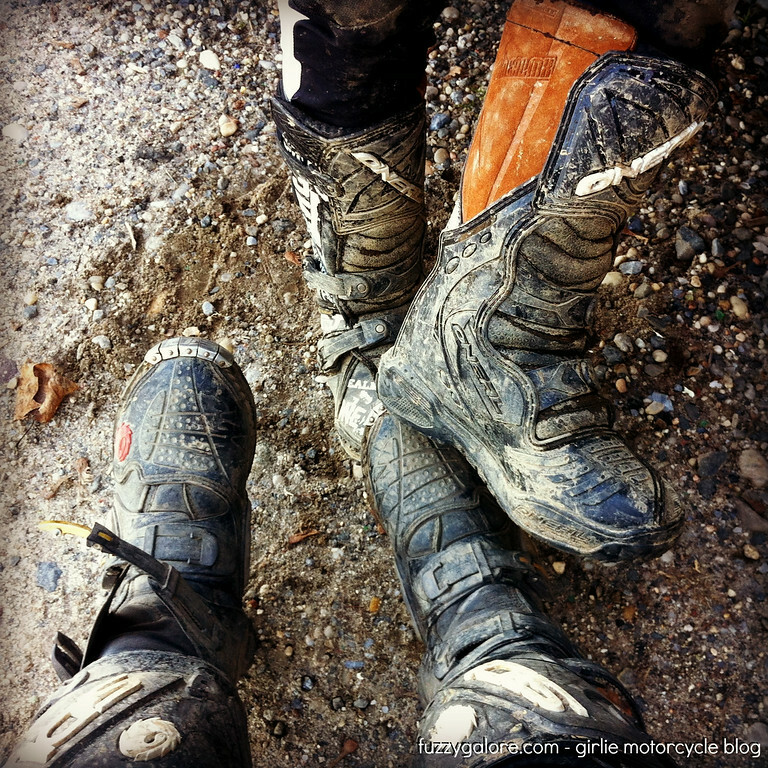 Never in a million years did I think our ride together would turn out this way, but it is all I can do. “Don’t you let those boys see you cry.” Do you remember when you said that to me? Well, I’m trying, Dad. I’m trying. 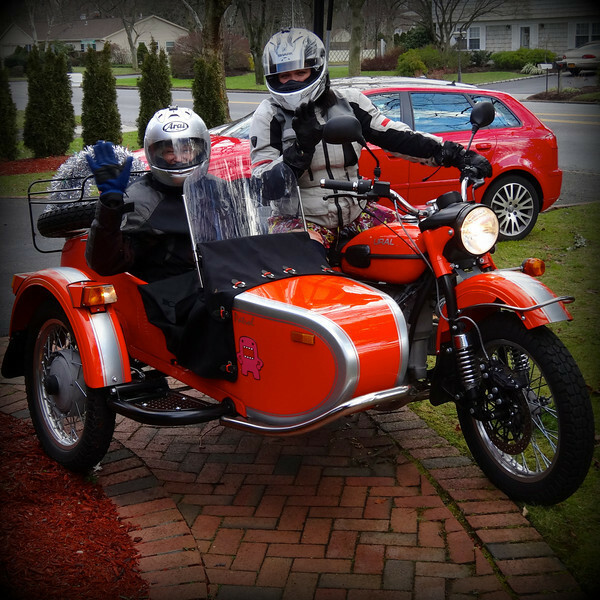 One of the most important deciding factors in me getting the Ural was how my daughter Chloe felt about it. When I first brought the idea up on an indian summer afternoon, her eyes lit up as we talked. If it were up to her, we would have immediately gone to the Ural dealer. She was all in. My daughter is my life’s finest work. I don’t have the power to string together a sentence that could do justice to describing just how much I love that kid. The idea that she likes spending time with her ole Ma, well… it makes me feel like a million bucks. Last night we rolled the orange rig out of the garage, suited up and went for a ride. Mountains of snow lined the roadways. A wet spray pinwheeled into the air as cars drove through the trickling melt. 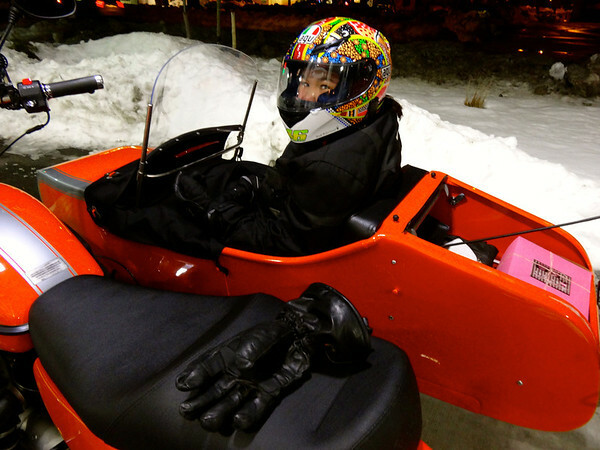 She could have been tucked away warm, playing video games at home, instead – she wanted to go for a ride. As we rode along under the street lamps, I kept stealing glances of my girl in her chair. She just sat quietly, watching the world go by. I often wonder what it is that she’s thinking about when we’re cruising along. And yet, part of me doesn’t really want to know because whatever it is, it belongs to her alone. What will the memories of these ride be like for her years down the road? As a mom, I wonder. My hope is that riding in the big orange sidecar will become one of the many happy threads that weave through her childhood. You just never know how a day will unfold when you get up in the morning, do you? On Christmas day, our family gathered to celebrate. We ate and laughed and listened to stories of the past, of hopes for the future. During lunch my dad asked about the Ural as he often does. This was his first visit to our house in months so he’d only ever seen it in photos. Kenny quickly wheeled it out so that my pop could get a good look at it. 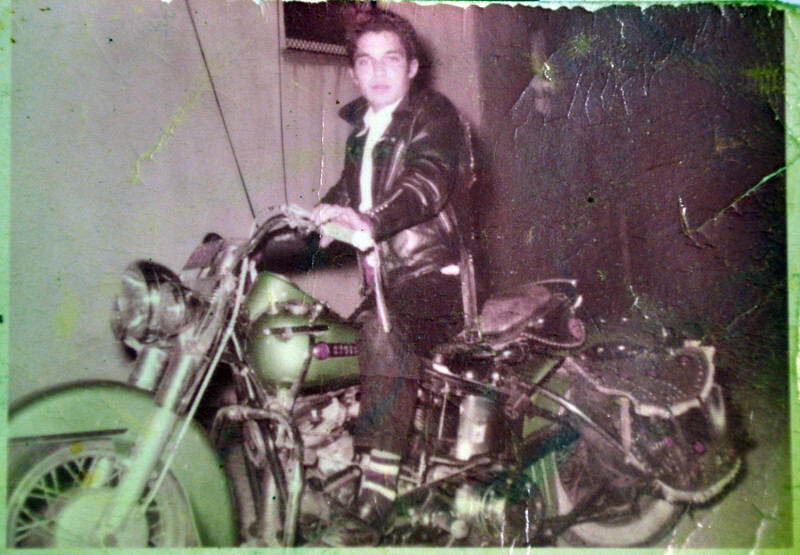 I made a promise to my dad that if he is feeling up to it in the spring that I will take him for a ride. That idea really must have tickled him, because he hung on to it for the rest of the day and every conversation we’ve had since Christmas. He has been reminding me that he’s excited to go for a ride. That makes my heart happy. While we sat and chit chatted at the kitchen table – my mom, my sweet, awesome mom, didn’t bat an eyelash when I asked her if she wanted to go for a ride. There was no hesitation, no wavering, just YES! 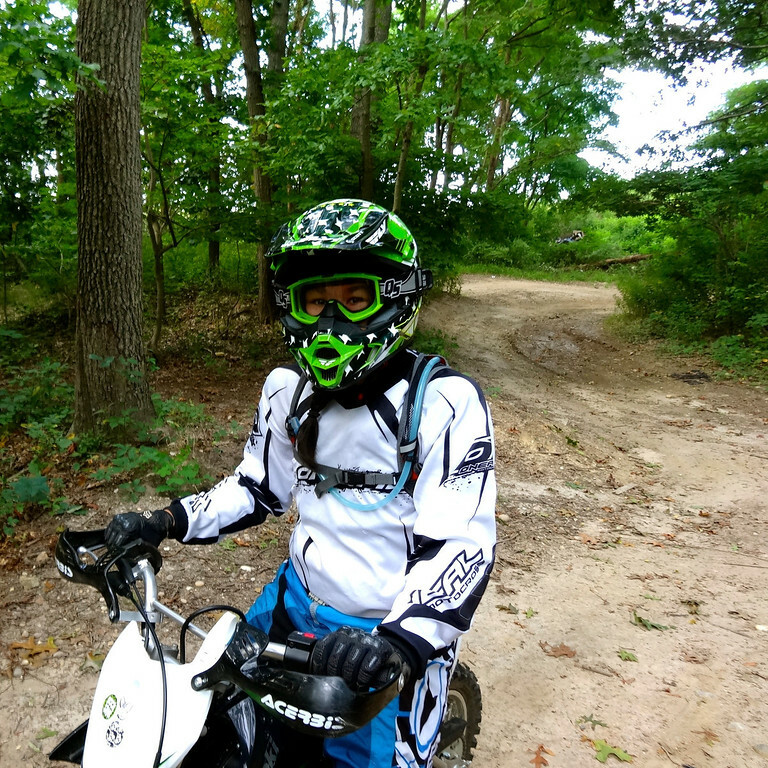 I’m proud to say that after nearly 20 years of riding motorcycles, I finally took my mom out for her first ride with me. I threw my riding jacket on over my dress, slipped a pair of jeans and with the biggest smile in the world on my moms face ~ away we went putt-putting down the road. 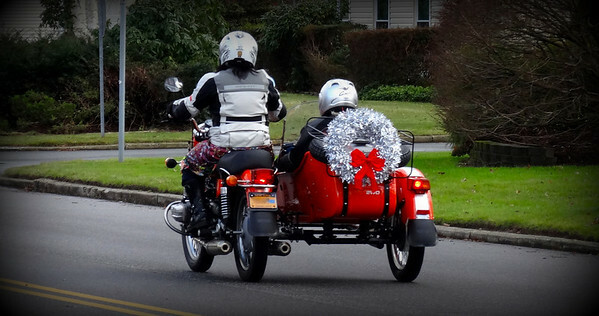 When I glanced over at her in the sidecar, it was like looking at a 20-year-old version of my mom. Her gray-blue eyes were busy smiling away through the helmet. The magic and youthfulness of wonder had captured her. She was thrilled and that was the best feeling in the world for me. Seeing my mom so happy made my Christmas. 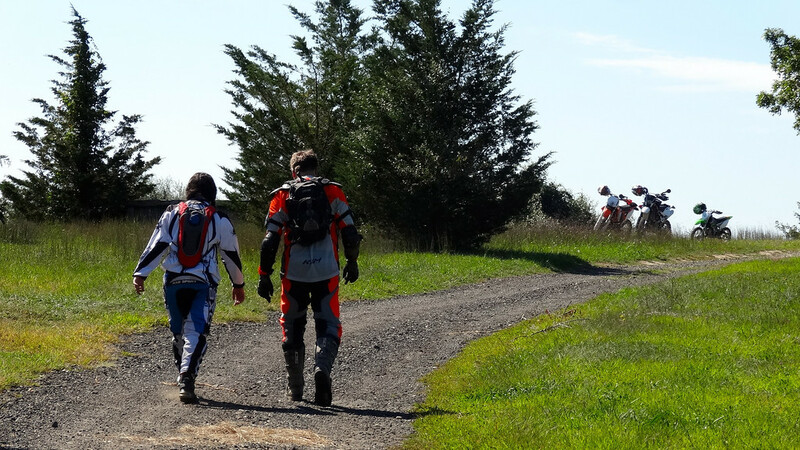 Have you ever had the pleasure of going for a ride with your parents?